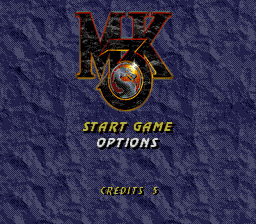 Play Mortal Kombat 3 Now! Shao Kahn has taken over the Earth by creating a portal to unite him with the human reincarnation of his lost queen, Sindel. Now a new group of Earth warriors are coming together to face the evil Emperor in a new Mortal Kombat tournament. Mortal Kombat 3 brings in many new features, including a large number of new playable characters, new bosses, new moves, combos, Mercies, and of course, Animalities. In addition to all your old favorite Kombatants, Fatalities, Friendships, and lots and lots of blood, gore, and severed body parts.